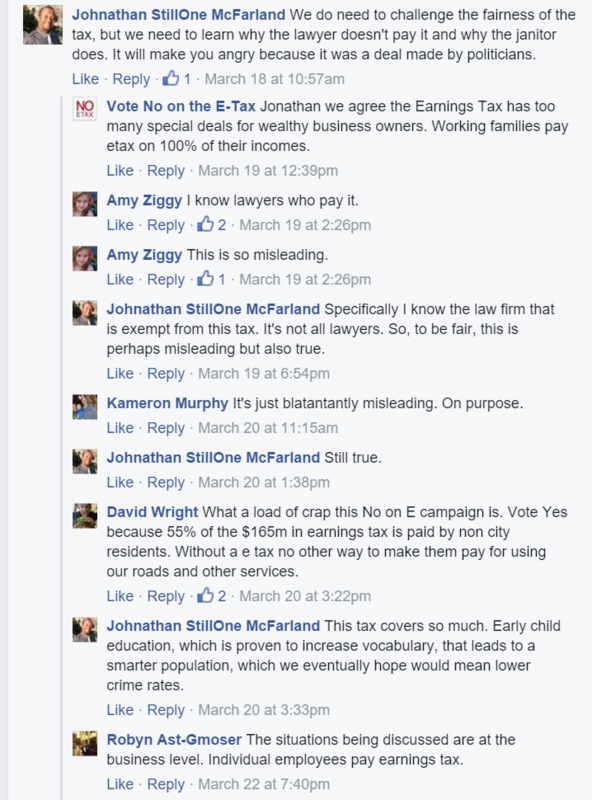 The fight over the city’s earnings tax is getting feisty on the Internet, where the “Vote No on the E-Tax” campaign is trying to use Facebook to spread its message. 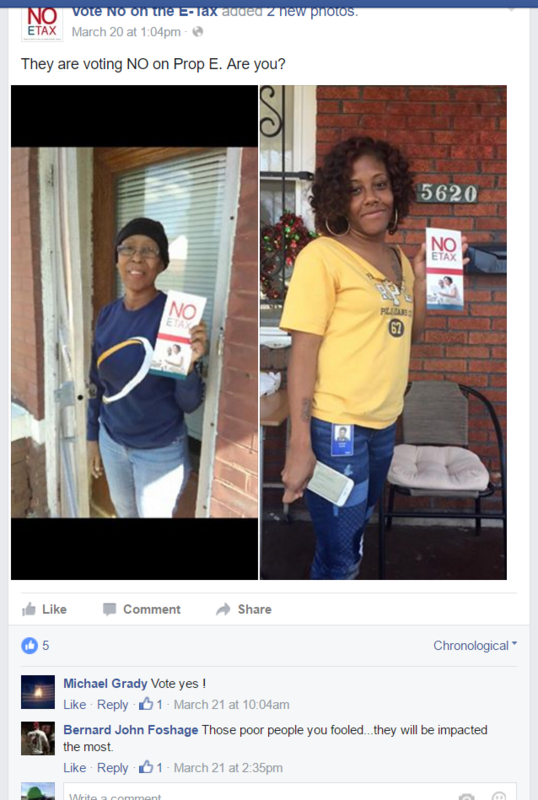 The campaign has posted its anti-tax advertisements for all of St. Louis to see — and interact with. 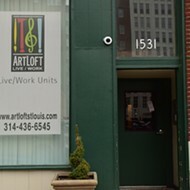 The group is lobbying against St. Louis’s one percent income tax, which is paid by anyone who is employed in the city. Since billionaire philanthropist Rex Sinquefield has already donated $2 million to the campaign, it should have plenty of people available to monitor their social media. Maybe the backers are just trying to encourage a healthy debate? Suffice it to say, the results have not been pretty. For about every person against the tax, there are ten more speaking in favor of it and another few correcting everybody’s grammar. 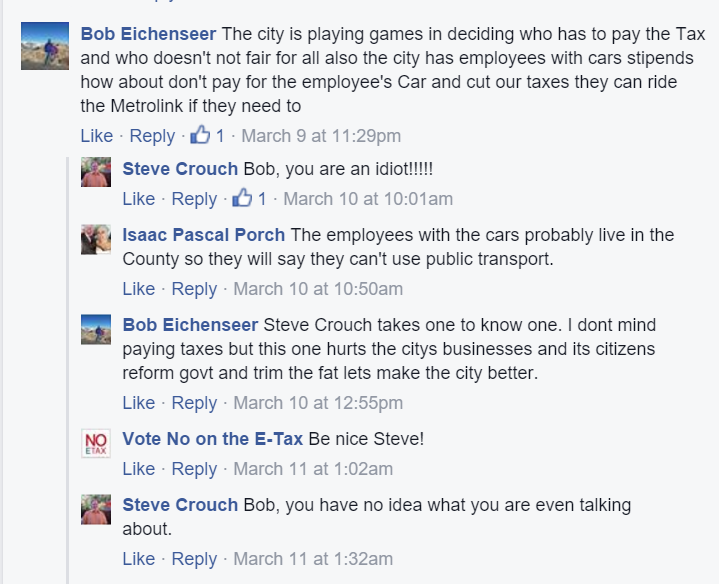 And then there’s this guy, who’s anti-tax, but doesn’t seem to appreciate the campaign’s pace. 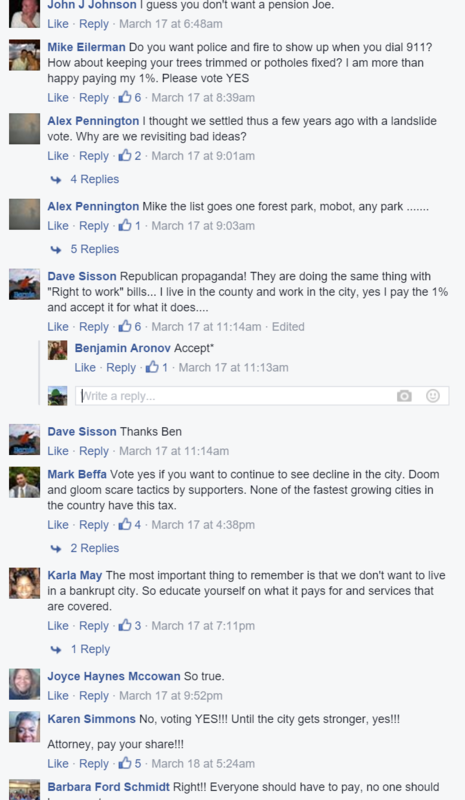 The page manager’s attempt to foster conversation turned into a lot of people disagreeing with the campaign. And some of the supporters seem a little confused. Do we vote "yes" or "no" to get rid of the tax? A few of the saltier comments targeted Sinquefield himself. And a few just... weren't happy about anything in St. Louis. This doesn’t mean that the entire city of St. Louis is pro-tax, of course. 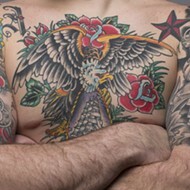 And people who are in favor of keeping the tax might be more likely to weigh in publicly. But if the numbers are anything like the vote from 2011, about… 88 percent of those who voted cast ballots to retain the earnings tax. And clearly, a lot of those people enjoy a no-holds-barred online discussion, too. Democracy!